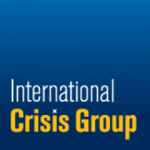 The International Crisis Group's (ICG) latest report "Governing Haiti: Time for National Consensus" examines the Haitian government's efforts to convince its own people, donors and potential investors that progress and stability are achievable. The report emphasizes the need for good governance, consensus building among the elites, effectively implemented poverty reduction strategies and strengthened rule of law. Getting there will require a shift from highly confrontational politics to one of compromise and consensus. The executive summary is below and you can read the full report on the ICG website. Today marks one year since the earthquake. There has been a great deal of commentary, dialogue, and debate over what is going well, what is not, what should be improved and how. Much of Port au Prince is still in ruins, a cholera epidemic has yet to peak, and the most recent elections were a debacle. The anniversary provides an opportunity for us to consider what will get Haiti out of survival mode and on the path to development. Doing so will depend in large part upon the Haitian government, its willingness to change, and ability to lead. Most would agree increasing trade is important for Haiti's long term development. Where people disagree concerns what kind, how much, and where. Haiti has never been an easy place to invest, but it has enormous potential due to its large multinational Diaspora, proximity to the United States, vast labor pool, and now the passage of Hope II. Given these advantages, is Haiti open for business? Who's Really Responsible for Haiti's Woes? Read more about Who's Really Responsible for Haiti's Woes?